Week 7 was our best week yet! Things went smoothly and we had a good time with each of the assignments. We even were able to do extra math work as well and spelling a grammar that were not assigned but of course good to go over. For English and literature they are still learning about folk tales. This week they had to pick a folk tale and discuss the main character and how their emotions led to their actions. Since we getting closer to Halloween and I will find any excuse to throw in some Chicano studies in Phi's schooling, I introduced her to the New Mexico folk tale of La Llorona. We found a great site with a kid friendly version of the story. After she read the tale Phi was way into it. 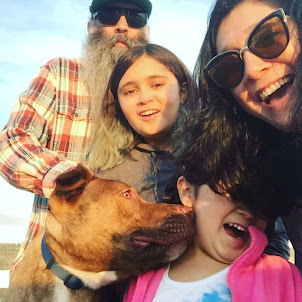 She wrote about how Maria was so mean and so stuck-up and her looks were more important to her than anything else and how this lead to her throwing her children in the river. Maria realized what she had done too late and her ghost now wanders waterways crying for her children. As per usual she had to draw a picture to go along with her report. For math we did 3 pages related to telling time. She had to show progression of time as well as different way to say the same time. For example 2:15 or 15 minutes after 2. I liked the fact that math didn't take too much time, but this time around I felt that there should have been more math problems to practice. For science we discussed threatened, endangered and extinct animals. We discussed the different reasons animals become endangered and some of the ways people are trying to help endangered species. Along with this Phi had to pick an endangered species and do a picture. We went to the WWF website and read through their list of endangered species. After going through the list The Phi chose the Loggerhead Turtle. Very interesting little creature. After the report we google searched "loggerhead turtle coloring page" and found a great picture. For this drawing we took a page from Phi's BFF's Isaiah and did a window tracing. This is a great technique for tracing. Simply tape the picture your tracing and the blank paper over it onto a sunny window and trace. Phi did her favorite thing and water colored it. Joey and Phi worked on social studies together this week. They discussed the Yurok tribe and the currency they used. 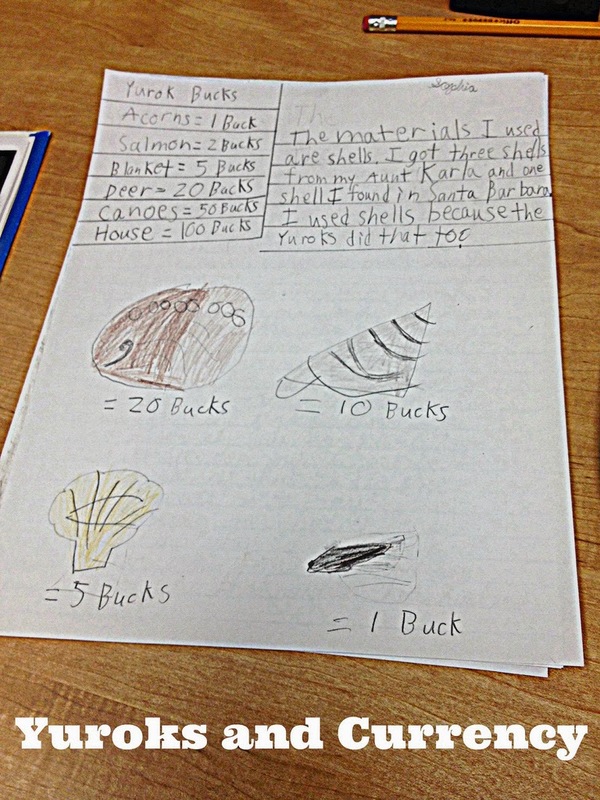 The assignment was to design her own currency just like the Yurok did. After some discussion Joey and Phi decided to use sea shells as currency. And thanks to all the gorgeous shell we have from Aunt Karla (thanks Aunt Karla!) she drew each shell and its worth. For her presentation she will all take in the real shells. Every project Phi does she has to present in front of her class. Granted its only 3 students shes standing in front of, but I am still impressed at how well she speaks in front of her classmates. It was a great week and we ended it by painting our living room and a hand me down desk 2 different shades of a gorgeous turquoise color. We are working on getting organized when it come to paper and paints and other materials so that our dining room table isn't always cluttered. We are also hoping that by giving Phi a space all her own for school it will feel more like school and not just doing crafts with Mom and Dad. We hope to have everything set up for Wednesday morning when she will start week 8 assignments.